The Inner Manipur Lok Sabha constituency is set for an interesting contest with the Indian National Congress (INC) fielding a relatively new face in the hustings. The Congress party’s Thokchom Meinya had been representing the Inner Manipur parliamentary constituency since 2004. Thokchom Meinya has defeated the Communist Party of India’s Moirangthem Nara in all the three Lok Sabha elections held since 2004. This time, the Congress has fielded former chief secretary of the State O Nabakishore Singh as the party’s candidate for the Inner-Manipur seat. Nabakishore Singh will be up against the CPI’s Nara Singh and the Bharatiya Janata Party’s RK Ranjan Singh among others. 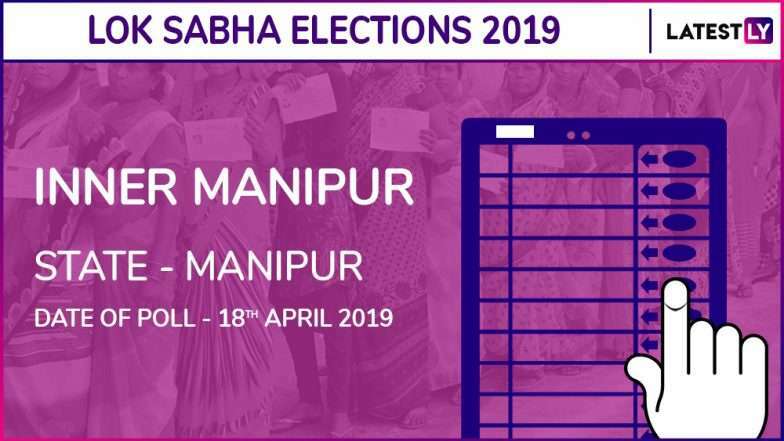 With the nomination papers of all 11 candidates for the Inner Manipur parliamentary constituency of the 17th Lok Sabha elections in Manipur are found to be valid during scrutiny at Imphal West district and with no withdrawals on Firday, all the 11 candidates are in the fray. 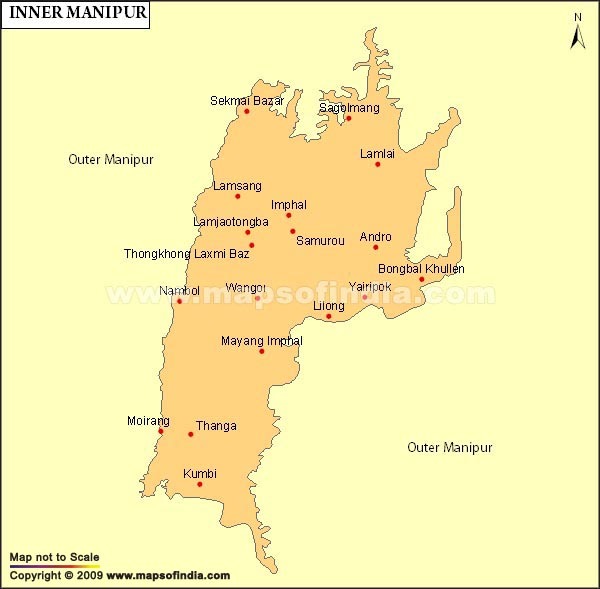 Polling for the Inner Manipur Constituency will be held in the second phase on April 18. The candidates are Dr R K Ranjan of Bharatiya Janata Party (BJP), O Nabakishore of Indian National Congress (INC), Dr M Nara of Communist Party India, G Tonsana of Manipur Democratic People’s Front, S Nandeshore of Rashtriya Janhit Sangarsh Party, R K Anand of North East India Development Party (NEIDP), O Jugindro of Manipur People’s Party, R K Somorendro alias Kaiku, M Tomtomsana, W Pobitro Singh, Md Iliyash Khan, all Independent. 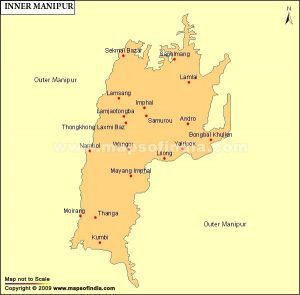 Inner Manipur Lok Sabha constituency is composed of 32 Legislative Assembly segments. They are Khundrakpam, Heingang, Khurai, Khetrigao, Thongju, Keirao, Andro, Lamlai, Thangmeiband, Uripok Sagolband, Keisamthong, Singjamei, Yaiskul, Wangkhei, Sekmai (SC), Lamsang, Konthoujam, Patsoi, Langthabal, Naoriya Pakhanglakpa, Wangoi, Mayang Imphal, Nambol, Oinam, Bishenpur, Moirang, Thanga, Kumbi, Lilong, Thoubal and Wangkhem. The Indian National Congess (INC) opened the account in the Inner Manipur Lok Sabha seat in 1951 with Jogeswar Singh being the first parliamentarian from the constituency to sit in the Parliament. Some of the other MPs from the constituency include Achaw Singh Laisram in 1957, M Meghachandra of Communist Party of India in 1967, N Tombi Singh of INC in 1971and 1977, Ngangom Mohendra of Communist Party of India (CPI) in 1980, N Tombi Singh of the INC again in 1984 and 1989; and Yumnam Yaima Singhof Manipur Peoples Party in 1991. The Bharatiya Janata Party (BJP) wrested the Inner Manipur constituency with Th Chaoba Singh winning in 1998. The present sitting MP Thokchom Meinya of INC took back the seat in 2004 and won the two consecutive parliamentary elections in 2009 and 2014. In the last parliamentary elections in 2014, there were a total of 640,871 with the number of women voters standing at 438,237 outnumbering the male counterparts. There were 1,256 polling stations in the constituency in the 2014 parliamentary election.